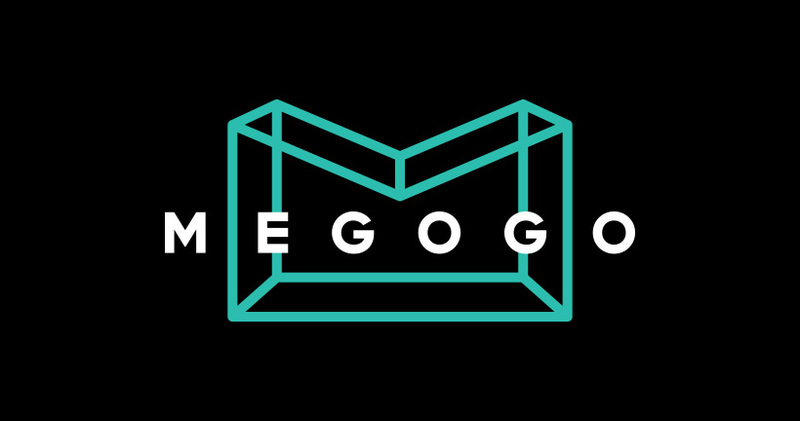 MEGOGO, global entertainment service, announced a new approach to business, revealed new brand identity and highlighted new directions in the content production. On November 22, 2017, MEGOGO will celebrate 6 years of operations. The service took giant leap forward for its business development. At first it was presented as a VOD-service, mimicking the popular pirate resources. However, in 2014 the company started developing its TV project, having determined that TV content was in high demand by users, but should be provided in a more convenient environment and without technological restrictions – online. In 2016 MEGOGO decided to make the next bold move and launched production of niche non-format content which does not fall into the classic television and VOD concepts. In particular, professional live broadcasts of large-scale cultural and sporting events, producing and investing in projects (about 50 projects – concerts, shows, orchestral performances, dance battles, cybersport events, festivals, etc.). Over the past few years, the market has evolved significantly – user behaviour has changed, and MEGOGO has gone beyond the classical VOD / OTT project – it became a large-scale platform for digital entertainment and needed a new positioning. MEGOGO introduced a new corporate identity and refreshed logo. “Our visual identity is built on a new brand positioning — personal family television. We are universal and appeal to different people and different families. It was important for us to emphasize our universality even in colour, thus we chose a neutral shade that would be suitable for both male and female audience of all ages. What is more, we wanted to differentiate ourselves from the competitors, since one of the key functions of the identity is to distinguish the brand, make it memorable”, explains Ivan Shestakov, marketing and strategy director at MEGOGO. The main MEGOGO logo is a minimalistic caption in the corporate colour, turquoise. This is the logo that users will encounter most often in digital and outdoor campaigns. As MEGOGO’s spokesperson mentions, it should be multifunctional, comprehensible and suitable for both light and dark backgrounds. In addition, a simple MEGOGO caption from the previous identity is already familiar to the user. We wanted to ensure continuity and avoid drastic changes which could confuse our audience. But the additional symbol — the three-dimensional letter M — stands for our versatility and universality. As part of the upcoming changes, MEGOGO announced several new directions, which the company intends to develop in full speed. One of the most important is its own niche and non-format content production. In the next six months, the service will be filming a reality show; launch the production of educational content; start experimenting with the content, highly unusual for video services — audio podcasts for mobile users. At the moment the casting of narrators is in full swing. “We see a category of people eager to consume high-quality audio content (edutainment), especially when they are in transport, where urban residents spend about on average 1.5-2 hours daily. To such users we will be offering a number of interesting projects — with an emphasis on stories, especially investigations, dialogs, maybe talk shows”, says Ivan Shestakov. Also MEGOGO sees a demand for vlogs, judging, in particular, from the viewer’s approval of the project “Dasha on the Wave”. “UGC changes its quality, many video channels have or can reach an audience of hundreds of thousands of people. It is not an amateur content anymore. MEGOGO with its expertise and coverage can scale such content. We will test all these new projects and look at the response of our users. We are building a new era of television — not the way we see it today, but the way it should be — without restrictions imposed by rudimentary methods of content delivery and programming. We consider the existing separation of TV and VOD irrational and long overdue. TV and VOD share the same goals and the same users”, Ivan Shestakov continues to explain the strategy. Monobrand TV set-top box (media player) from MEGOGO was launched in Ukraine this summer. In the next six to twelve months it will be presented in the CIS and Baltic countries. This product is designed for those who still use traditional TVs without the Smart TV features. Its main advantage is instant (one-click) access to the MEGOGO service and viewing of the content, which is critical for daily use. In addition, the first year of access to TV channels and the premium library of films is already included in the cost of the device. Oasis Media Systems LLC (USA) was chosen as the manufacturer and supplier of monobrand MEGOGO STBs. The price of a set-top box in Ukraine is 2199 UAH($82), and the device is available for purchase on MEGOGO platform, and soon will appear on the shelves of nation-wide retailers. The release of own media player is the result of the consistent implementation of MEGOGO’s business strategy — to continuously convert Internet users into a paying audience, which, according to Ivan Shestakov, is 20-30 times more profitable than serving the AVOD-viewers consuming free content with advertising. The process of the MEGOGO new identity implementation will take place in several stages and will end in early 2018. The identity roll-out is synced with the schedule of new application releases during the gradual transformation of the platform. MEGOGO is a global entertainment service with over 50 million unique users monthly and a catalog of about 80,000 videos: movies and documentaries, cartoons, serials, TV programs and shows, sports broadcast and cultural events, vlogs, travel-shows, etc. Also it streams TV channels: there are over 160 local and foreign TV channels today. This number includes more than 25 movie and serial interactive channels created by MEGOGO. The service has signed contracts with the major Hollywood studios – FOX, Universal, SONY, WaltDisney, MGM, Miramax, Warner Brothers, Paramount Pictures, BBC, Euronews, Discovery Communications, Viacom. The service is multi-screen, providing users on iPhone and iPad devices, Apple TV, Android devices, including numerous vendors with Android TV, on Smart TVs by LG, Sony, Samsung, Panasonic, Philips, Toshiba, on STBs, media players and game consoles including Sony PlayStation 4, Xbox One, etc. MEGOGO is actively involved in charity initiatives supporting and co-organizing various movie, media, Internet and cultural events and caring for people with hearing impairment (“Watch the Sound” social project). For example, the service launched its own sign language studio, adapting content for people with hearing impairment for a special section on the website with thousands of movies and cartoons.